'Game of Thrones' Nicolaj Coster-Waldau hints Jamie Lannister might bend the knee to Daenerys Targaryen in the final season. 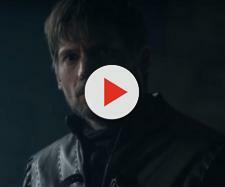 Nicolaj Coster-Waldau, who plays Jamie Lannister on the popular TV show, “Game of Thrones,” has made some important revelations about its next season. The show’s seventh installment recently concluded, offering clarity on many unsolved issues. First off, it was made official that Jon Snow is actually the legitimate child of Rhaegar Targaryen, thereby the rightful heir to the Iron Throne. Secondly, the tense relationship between siblings-turned-lovers, Cersei and Jamie Lannister came to an end. The army of the dead is fast approaching and everyone, other than the Lannisters at King’s Landing, understand the severity of it. To prove to her that White Walkers truly exist, Jon Snow and his pack risk their lives to bring one of them all the way to Cersei. Despite witnessing the horror of what is progressing towards them, Cersei seems ardent at keeping her stake above everyone else’s. Jon Snow along with Daenerys Targaryen came with the intention of initiating a truce with the Lannisters. After Tyrion personally convinces Cersei, she finally gives in. It was only later revealed that Cersei has no plans on helping either of them out. She simply lied and is going to claim all that is conquered by Jon Snow and Daenerys as soon as they are busy trying to defeat the dead. This goes against what Jamie stands for and the leaves his sister alone to join others in the battle. According to a report by The Sun, this will also lead Jamie to Bend The Knee to Daenerys. Cersei and Jamie now have a very tense relationship. There are many things Cersei has caused that hasn’t particularly made Jamie happy. He has always been disappointed in the way she approaches important subjects. This is the ultimate decision that ticks Jamie off enough to think to himself, “Enough.” The actor behind Jamie recently told Esquire magazine that Jamie is now desperate about going over to a side that fights for the right. Since Jon Snow has already bent his knees to Daenerys, it only makes sense for him to do the same. He also hinted that some of the main characters will also be turning into White Walkers. When asked about how his character was able to walk away from Cersei, he answered that Jamie is actually very “thick” in the head. He feels that when one has committed to something, it is essential that they follow it through completely. Cersei clearly fails to do that so he doesn’t care anymore.